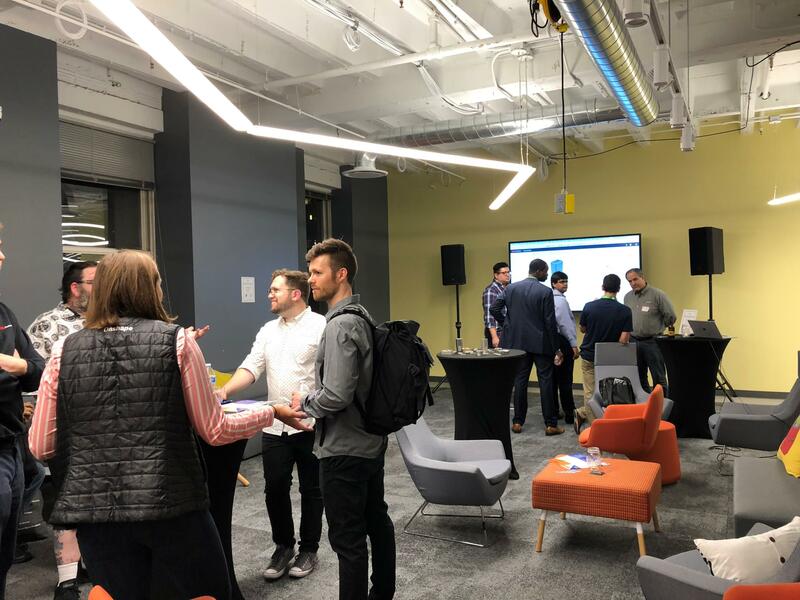 On Thursday, Sept. 13, the Chicago Connectory hosted teams from Onshape and Desktop Metal to learn about their partnership. The two companies are working to bring innovation to mechanical design, metal 3D printing and manufacturing. Maya Wilson, Account Executive for Onshape, presented their product, a modern CAD system used by thousands of companies worldwide. CAD systems are computer-aided design software that create precise drawings and technical illustrations used for 2D or 3D drawings. CAD helps eliminate design gridlock and confusing data management, which allows engineers to achieve their best work. Ilya Mirman, Vice President of Marketing for Desktop Metal, a technology company that designs and markets metal 3D printing systems, spoke as well. He discussed how Onshape makes the mechanical designs and manufacturing of components more innovative and easier. Approximately 30 people from different companies attended the OnShape and Desktop Metal Meetup. Let's build a connected world together. The Chicago Connectory is a community of entrepreneurs, IoT startups, corporate innovators and creative minds - together we're driving IoT innovation for Chicago, the Midwest and beyond.